Apparently, it only took me three years to get my act together and make this dinner (see the first comment on the linked post). It was worth it. Our brief summer is now fading into memory and while that usually means that it’s time for chili… For the next generation of MND, I decided to start off with my idea of comfort food. Thus the most traditional southern dinner imaginable. I know it’s been a while… okay, two years since I posted, but I haven’t really been cooking for people in that time. I suppose I could have posted about “methods for cooking for one,” but I don’t feel I was necessarily an effective cook in that regard. But in the last few months, I’ve been dragged kicking and screaming back to the various local farmer’s markets and started cooking dinner about once a week with a friend. I’ll have to post about the butter-bomb dinner sometime. 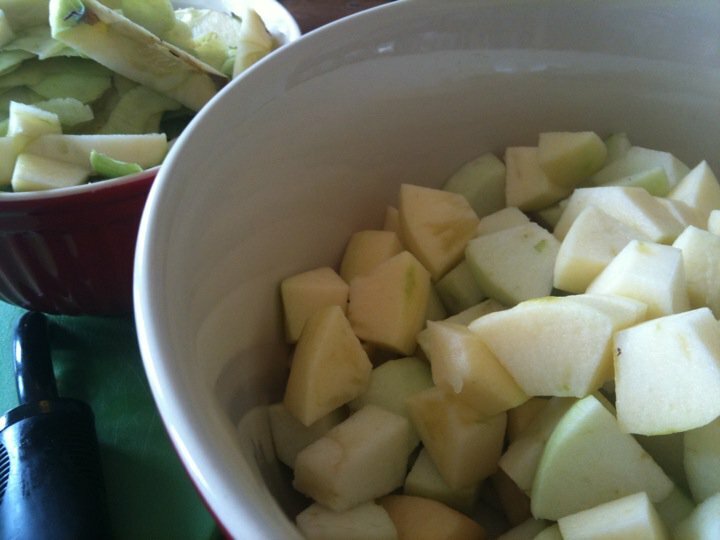 All this led up to a growing desire to start dinner up again, until finally this week I said, “I have fantastic apples. 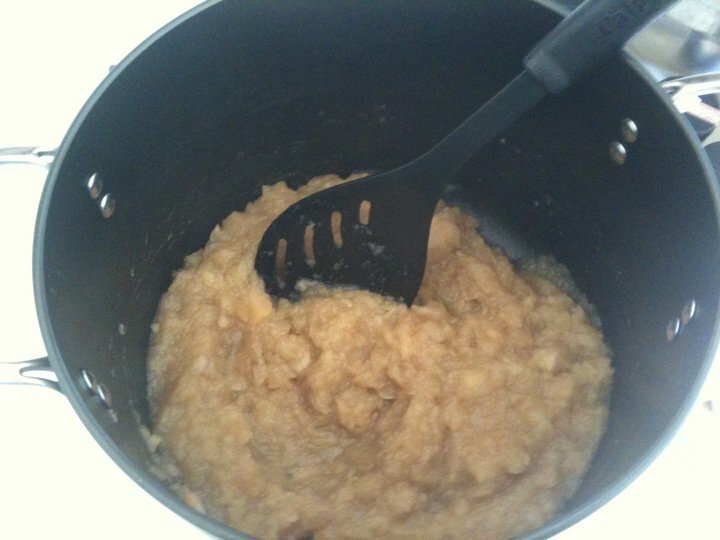 I want to make applesauce.” And then invited a bunch of people to partake of the sauce with me. For seven people, I got three bunches of rainbow chard from the market. You will underestimate how much chard cooks down. Be prepared. Put about a tbsp of olive oil in a pan with a lid and start stir frying the garlic. When fragrant, reduce the heat a bit and toss in some chard, stir it around, put the lid on to reduce it down. When wilted, toss in the next handful of chard. Repeat until all the chard is in the pot. You may have to do two batches (we did last night). When your pan is full, put the lid on and let the chard steam down, stirring infrequently for about 5-10 minutes (until the chard is wilted and dark green — taste it, it should definitely be steamed). Put in serving bowl and squeeze lemon over. Sprinkle on the red pepper. Stir. Enjoy! I will be forever bummed I missed this dinner. Stupid work. Thanks for thinking of me!